EZ Loader twin axle trailer for sale. $1,200 O.B.O Clean title. Everything works. Am towing 20' C.C. 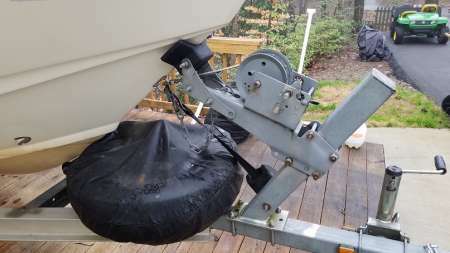 total boat & trailer weight 4,200 lbs. Can see in pic room for a little more length. Send PM if questions or interest. Price does not include boat :-) See "recent photos" for more images.